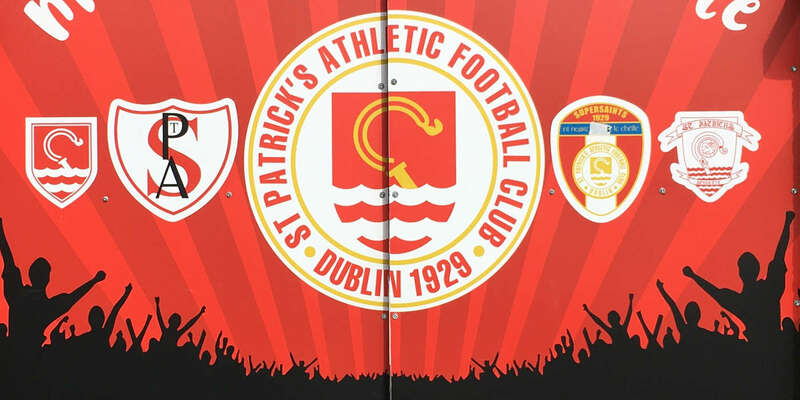 BRIEFLY looked to be on course for a cruel defeat at Richmond Park last night, St Patrick's Athletic scored twice in the dying minutes of a frantic and utterly compelling Uefa Cup tie to book their place in this afternoon's draw for the first round proper. Goals from Jason Gavin and Mark Quigley sealed the tie in favour of the Dubliners who had come from two goals down in Sweden two weeks ago. Their resilience could be rewarded in some style at noon today with Milan, Tottenham Hotspur and Sevilla amongst the sides they could be paired with next time out. Though the Elfsborg players were understandably distraught at the final whistle, they had few enough complaints. The home side's advantage coming into this second leg had been a slender one but from the outset it was clear that they were intent on extending it rather than digging in to hold on to what they had and ultimately their enterprise over the 90 minutes earned them their victory. Both sides contributed to a hugely enjoyable game brimming with open, attacking football from beginning to end. 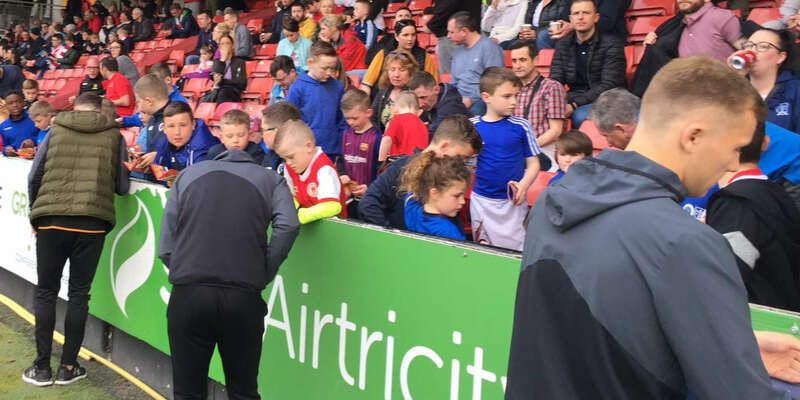 During the early exchanges the home side created their fair share of chances but it was Keith Fahey who looked the most likely to grab a goal with the midfielder forcing Johan Wiland into saves from both close and long range. At the back, though, they looked less than watertight at times and Lars Nilsson, in particular, will wonder how differently the night might have turned out had he taken the chances that came his way. For a while it seemed as though it wouldn't matter. Central midfielder Daniel Mobaeck had been amongst the visiting side's most effective players all night and when his close range shot was blocked 19 minutes into the second period, Stefan Ishizaki stepped up to rifle the loose ball home from a tight angle. The visitors's relief was all too apparent and they then set about battling their way through to the end without conceding. They almost made it but when Fahey floated in a corner from the left three minutes from time Gavin rose high inside the six yard box to turn it towards the goal and Fredrik Berglund could only help it in. In an instant, the locals had the edge again but they put things beyond doubt as the game moved into stoppage time with Quigley making a nonsense of the Swedes' attempt to play an offside trap to get onto the end of Derek O'Brien's long ball down the left before rounding the goalkeeper and, already celebrating, tapping home. "We deserved this win and I'm delighted for the club: the players, management and the fans," said manager, Johnny McDonnell. "The players never panicked when we went a goal down. We had a plan and we stuck to it. Right from the start the team attacked them.This was no fluke for we matched them in fitness and quality. In fact, we were fitter than them. "Their player Anders Svensson has 86 caps," he continued, "and they have loads of Swedish internationals but we were the better team. "Keith Fahey was magnificent but it's not just about Keith. It's about every player, including the substitutes. 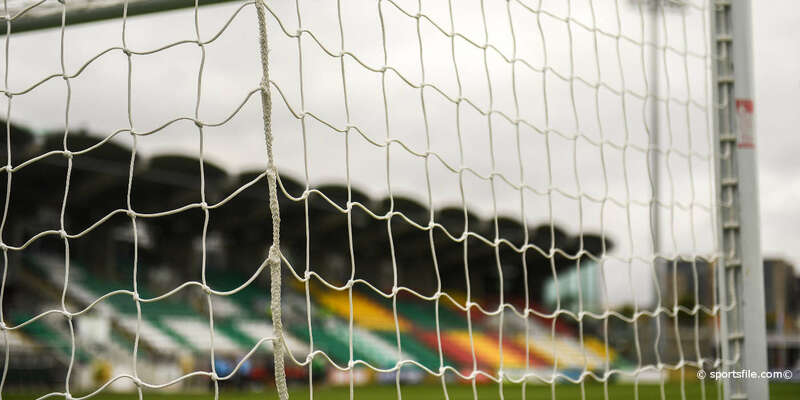 And it's great for the League of Ireland in what has been a week of doom and gloom. It does the league's co-efficient a lot of good and that is important."